Coldplay drummer Will Champion says that he is baffled at the plagiarism allegations centering around their song Viva La Vida, and he insists they "haven't done aything wrong." Champion was responding the the latest allegation that Coldplay lifted parts of their Grammy-winning song, this time coming from what might be considered an unlikely source, Yufuf Islam, the singer formerly known as Cat Stevens. Last week Islam claimed that Viva La Vida borrows from his 36-year-old song Foreigner Suite, recorded when the singer-songwriter was known as Cat Stevens. Islam's is the second recent plagiarism claim - guitarist Joe Satriani is already suing Coldplay for copyright infringement. "It's tough when people accuse you of stealing something when you know that you didn't," Champion told Hampton Roads. "For some reason, God only knows why, the successful songs seem to be the ones that are accused of being stolen." 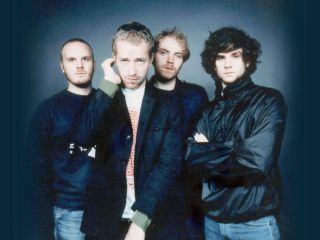 Even so, Champion did acknowledge similarities between Coldplay's song and the others. "There are elements of our music that I've heard in other people's music," he said, "but it's kind of...I don't know. It's interesting, but a very difficult thing to define." "There are only eight notes in an octave and no one owns them. And there are probably about 12,000 songs that feature the exact same chord progression. I think it lies on an intent to steal, which we certainly have never done and never would. So it's unfortunate but it's the way people are. That's that." Or, that might be that. Did George Harrison 'intend to steal' He's So Fine when he was found guilty of 'unconscious plagiarism' with his track My Sweet Lord? Doubtful. As always, this is one for the courts to sort out.